Another way of teaching and learning is possible. Across the country and throughout New Mexico, people are recognizing that standardized tests alone are incapable of assessing or encouraging the sophisticated learning needed to succeed in the future. They emphasize a narrow skill set that does not promote adaptability, complex thinking, problem solving and other critical 21st century skills. Future Focused Education is invested in developing new ways of thinking about schools to support them as they meet the challenges of the future. Alongside education experts and leaders from across the country, we are working to develop a new policy environment at state and local levels that will allow for new education and assessment models to take hold. 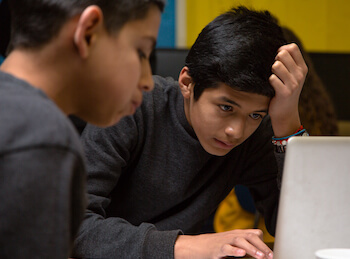 With support from the Assessment for Learning Project, Future Focused Education aims to influence assessment reform at the state level and to expand the use of performance assessments throughout New Mexico. Learn more here.